Highlights of Crawley’s 1-0 win over York from Sky Bet League Two. A late penalty from defender Simon Walton gave improving Crawley their fourth win in the last five games with a 1-0 home victory over managerless York. Walton kept his cool from the spot after 86 minutes to send goalkeeper Scott Flinders the wrong way after Eddie Nolan brought down skipper Sonny Bradley. 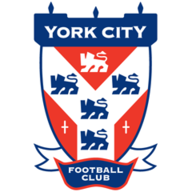 York, with Richard Cresswell in caretaker charge for the first time following the sacking of Russ Wilcox, started brightly and they should have been ahead after only two minutes. Top scorer Vadaine Oliver wastefully put the ball wide at the far post after a fine pass across the six-yard box by Emile Sinclair. Midfielder Bryn Morris, making his York debut on loan from Middlesbrough, should also have hit the target when heading a James Berrett cross over. Crawley came under further pressure when the on-rushing Morris fired wide before goalkeeper Darryl Flahavan saved a goal-bound shot from Oliver. The hosts awoke from their slumbers shortly before the break as York goalkeeper Scott Flinders saved smartly from Jimmy Smith's close-range shot. Striker Shamir Fenelon, making his first home start for Crawley, forced a superb save from Flinders shortly after the break when his rasping shot was turned over the bar. 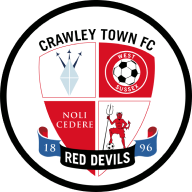 Crawley had another let-off when Oliver put a free header over the bar from a deep cross by Marvin McCoy, but they had the deciding late say as Walton slotted home the clinching penalty.